I hear it constantly... "I can't afford to buy a house. ", "I have to save for 2 years until I'm ready to buy. ", "The prices are going up so much in Austin, I just have to keep renting.". These statements may be true or they may not be. You won't know until you talk to a lender. As you know, the first step in the home buying process is to hire an exceptional real estate agent. You need a great team to help you though this process, and your agent is the Team Captain. Read more about the "Top Ten Interview Questions You Should Ask a Real Estate Agent" for guidance on what to ask when you are interviewing an agent. 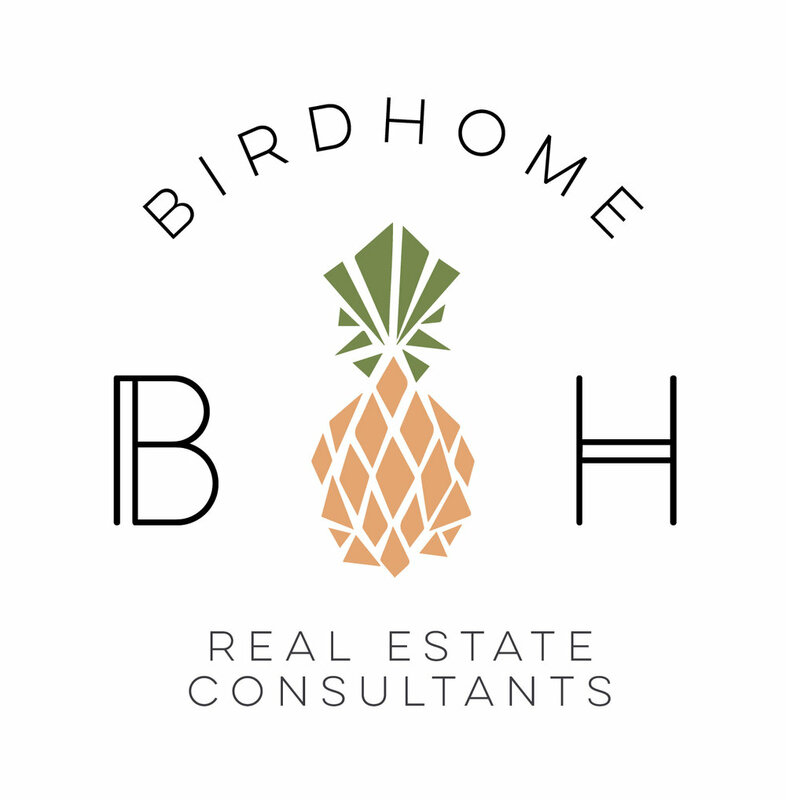 Great, now that you have hired an amazing BIRDHOME agent, the next step is to talk to a lender. What is the one thing you want to find out in this meeting...how much house can I afford, right??! 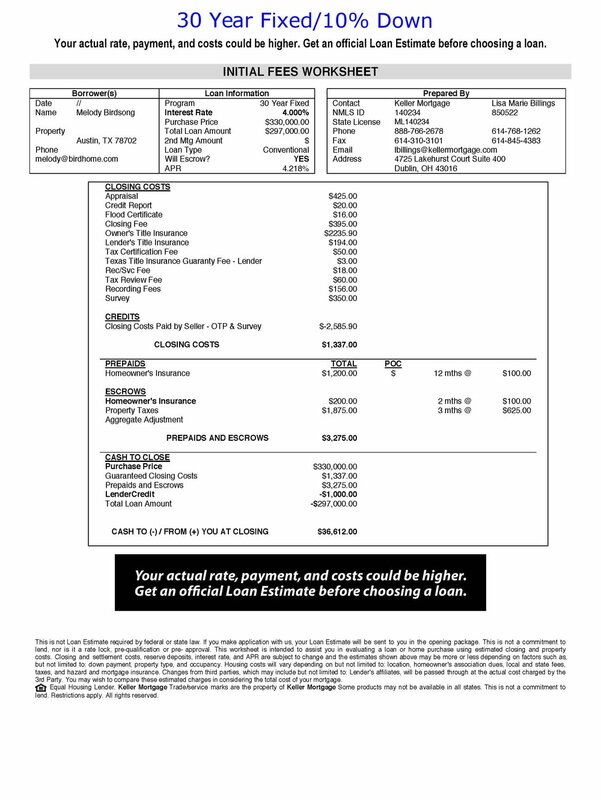 Based on this information, the lender will be able to determine the sales price that you are qualified for. More importantly, when you are financing a home, what we are really talking about is the monthly payment not the actual sales price. So lets talk numbers! Below are examples of 5% down, 10% down, and 20% down on a 30-year fixed rate and 15-year fixed rate loan. These are estimates based on the median home value in Austin as of February 2017 at $330,000. The interest rates* were the current rates as of March 2017. 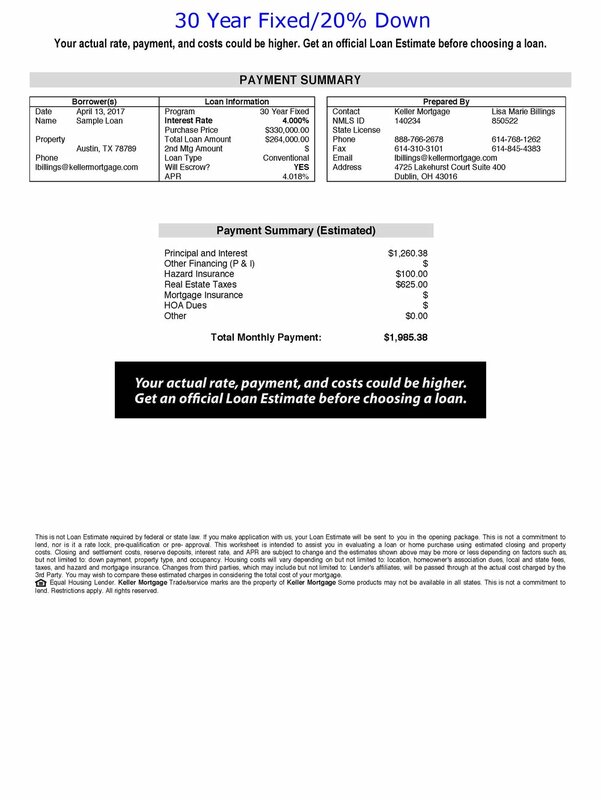 We also assumed $7,500 yearly tax payment and $1,200 for homeowners insurance for the year. *Rates change daily. I would like to take a moment to call your attention to the fact that interest rates have risen sharply since October of 2016 and are on the rise. With every tiny increase in interest rates, you are losing buying power because your monthly payments will increase but your total sales price will not. 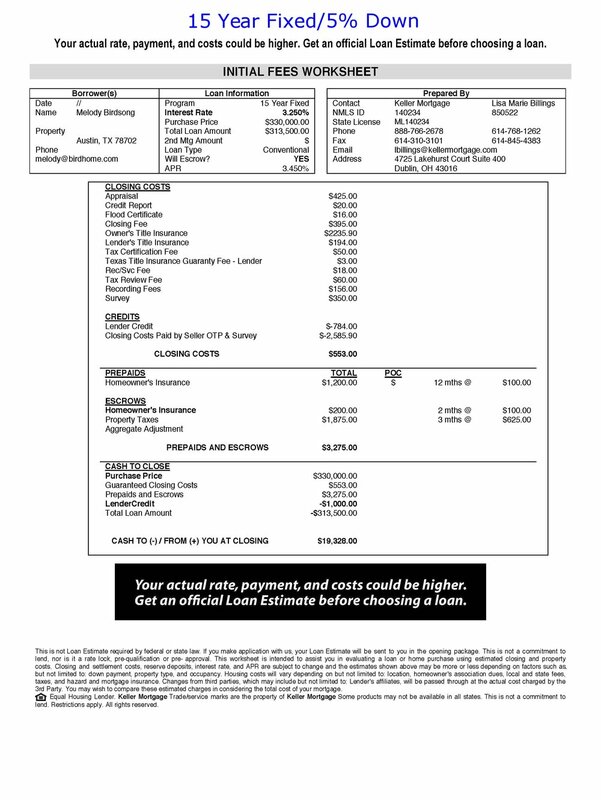 Our No lender fee loan + $1000 credit is exclusive to KW transactions. Buyers must be working with a KW agent or submitting an offer on a KW listing. By working with a Keller Williams Realtor, buyer can save thousands upfront and sellers make their home more attractive to the market. If you are not working with a KW Realtor but are submitting an offer on a KW listed property, you are also eligible for this special deal. When I first heard about Keller Mortgage, I didn't believe it. It sounded too good to be true, so when we decided to buy a house recently, we decided to give it a try. All I can say is "wow"! They walk the walk and talk the talk. 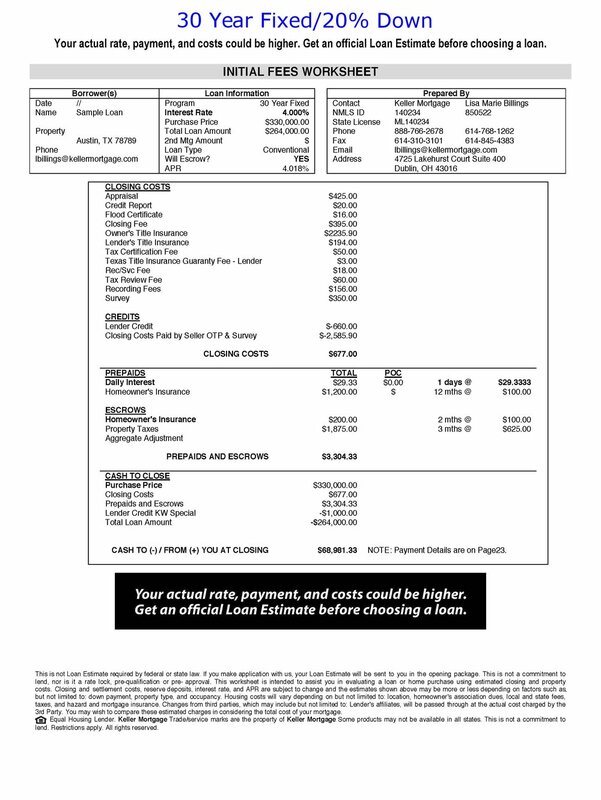 Below are the initial fees worksheets provided by Keller Mortgage for you to dive in deep with all the details on closing costs, how much cash you need at closing and monthly payment breakdown. I love using Karl's Mortgage Calculator to compare different loan scenarios as well. This allows you to enter different variables than those used in this example so you can tailor it to your situation. They also have an iPhone App as well! One of the things we love most about aligning our business with Keller Williams is the access to the education that they provide. Gary Keller and Jay Papasan wrote an amazing, best selling book called The ONE Thing. In this book, Gary Keller has identified that behind every successful person is their ONE Thing. No matter how success is measured, personal or professional, only the ability to dismiss distractions and concentrate on your ONE Thing stands between you and your goals. The ONE Thing is about getting extraordinary results in every situation. Our ONE Thing is helping you reach your real estate goals. We'd love to share a copy of this book with you, so you can discover your ONE Thing!